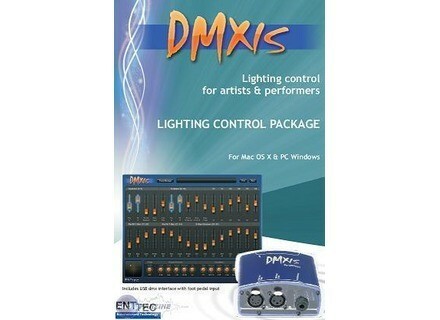 DMXIS, Computerized Lighting Controler from Enttec. Autorun Bank now plays from the first preset when a new bank is selected. 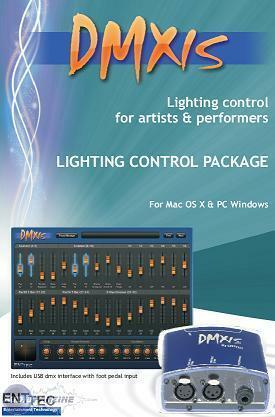 Improved start-up time of DMXIS standalone program on Windows. Improved reliability of the footswitch input (Some footswitch presses were not being registered on slower host computers). Fixed Bank Tempo feature (Tempo was not restored reliably on all banks). Improved reliability of preset selection (If you selected Bank1/Preset3, then Bank 5/Preset 3, the second preset would not always load). Fixed Footswitch Settings window (settings were not stored correctly). Elation Platinum Spot 5R This new 160W/ 7,950 lumen discharge lamp source is said to have an output comparable to a 575-watt fixture. Flash Butrym LED Color System FL-672 Polish manufacturer Flash Butrym has released its new LED Color System FL-672. Barco DL.3F Light Digital and automated lighting manufacturer Barco announced today the release of a new lighting product — the DL.3F.